Well it's fall and that means two things... Steelers football is back and wedding band season is almost in the books. And I can happily report that we are seeing great success on both fronts... Go Steelers! 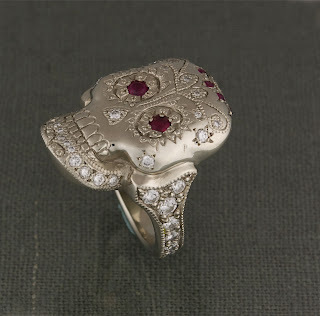 I want to thank all the amazing brides and grooms that we have had the honour of making rings for so far this year. I have the best customers! With that in mind I want to show off this great ring that we recently made. 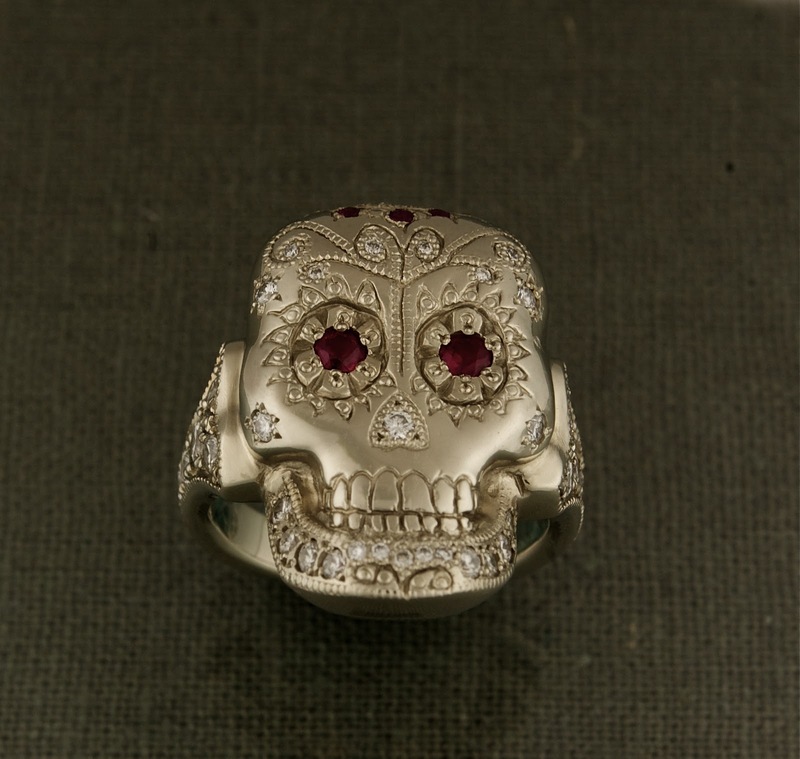 Steve commissioned this 18k white gold, diamond and ruby, hand engraved day of the dead ring for his wife Patty. It was great fun to research and design, thanks Steve! I also have a couple of great new speculative projects that I am starting and hope to have ready for Christmas so stay tuned.